Lecithin is an important ingredient in many natural skin care and food products. It is used as a thickener, emulsifier, stabilizer, and mild preservative. It is a dark colored viscous liquid with the consistency of syrup. It can thicken body care products and will change its color slightly. As an emulsifier, it is one of the few truly natural options. However, it is a bit trickier to use than emulsifying wax. 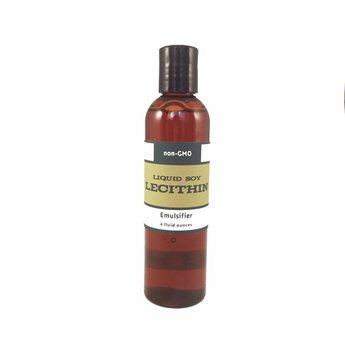 Lotions made with lecithin as the sole emulsifier can separate with time, but can also be re-mixed with a quick shake. It is the lecithin content in egg yolks that allows for the emulsification (combination) of oil and water to make mayonnaise. Store in a sealed container in a cool dark location.